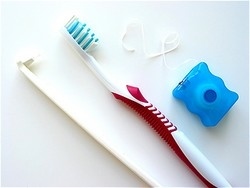 Exams and regular cleaning is essential for strong oral health. While at our office, we make sure you receive the highest level of service and ensure that our dental work is of the highest quality. To ensure that you maintain great oral health, this level of quality needs to extend into your personal oral hygiene routine. Our team can help you establish a dental hygiene routine that will keep your teeth healthy and white. Digital Dental X-rays are diagnostic tools used to find oral damage and disease. X-rays allow Dr. Okoniewski and his team to see what is invisible to the eye during an exam. These digital X-rays are one of the most innovative and technologically advanced ways to diagnose and determine your state of oral health. They are safer (less radiation), faster, and more effective in determining the state of the structures of your mouth (teeth, gums, and bone) compared to traditional X-rays. If you have any questions about your current hygiene plan please feel free to ask us.